OTTAWA-August 28th 2013 Canadian War Museum Print Presentation - Check Mate! Dr. MacLeod holding a giclée copy of the original oil painting (24" x 36") by Canadian Marine Artist Dr. Peter Rindlisbacher, and presented on his behalf by the authors of Check Mate! 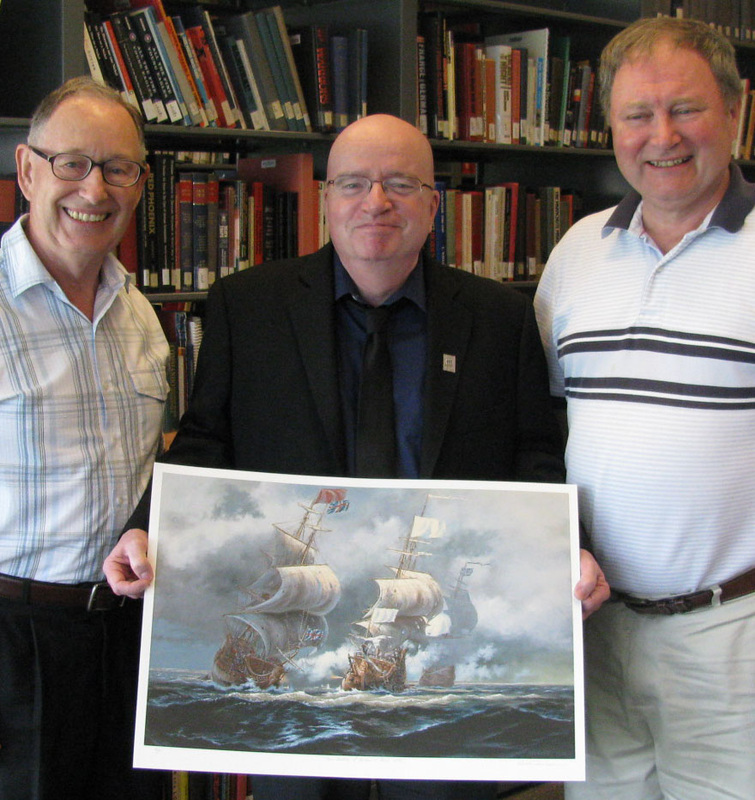 Dr. Rindlisbacher donated the print to the Museum, adding in his letter, "...I was able to benefit from the years of Milligan and Smith research, and added my own careful studies of ships of that period in order to create this image of the ships at the height of the Battle. I believe that it should be able to weather present and future criticism as a good approximation of that moment in Canada’s history.